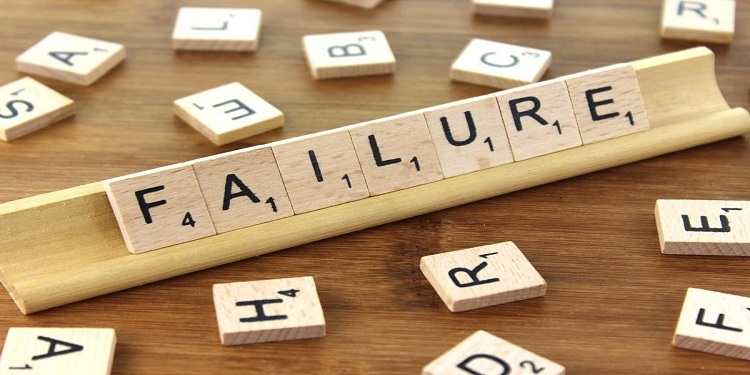 Along with diversity, goals and ethical dilemma, MBA essays on failure are asked with an intention to learn about the maturity levels of the applicants. The intention of asking the failure question by B-schools has been summed up well below. INSEAD France: Describe the achievement of which you are most proud and explain why. In addition, describe a situation where you failed. How did these experiences impact your relationships with others? Comment on what you learned (approximately 400 words). MBA essays on failure are usually the toughest to write for a number of reasons. The difficulty starts with primarily, the self-acknowledgement part, then, the second is telling it or penning it down for someone else to read. People do not acknowledge failure that easily. It takes a lot of strength to acknowledge the fact that we have failed. Writing the essay is also a way of acknowledging that we can fail. It is a learning process in itself. It is from a failure that we learn our true strengths and our capabilities of bouncing back. The MBA essay on failure question usually does not limit to the incidence itself. It usually asks about your reaction and what you have learnt from that failure. The ways people handle their failure tell a lot about them. When Judge Business School, University of Cambridge, asks you to mention your learning from the most spectacular failure, it means we fail more than we would tend to agree. Listing down all our failures and the learning of the failure and then selecting the most spectacular one out of them is a huge introspection process for the applicant. Spectacular here means the failure which gave you the opportunity to learn the most from. MBA Essay on Failure can be asked in a number of ways. Recount your failure, mention your reaction and what did you learn. The question can be any one or all three of the above. 1. NUS MBA prompt: My biggest failure was? When you are asked to mention your biggest failure. The admission committee wants you to mention the facts. They do not want to you to list your sob story. Mention the story in simple words with the least amount of emotions or in a matter of fact way with adequate detailing so that there is no confusion in the statements. Simply, what, where, when. Conclude it with why you think this is your biggest failure. 2. The second part of the MBA essay on failure or adversity questions deals with the ‘impact’. How did you respond? Did you suffer any setback? Were you hurt? What did you feel? Did it change something? Were there any changes in your personal and professional relationships? Had you anticipated the failure or was it a shock? Mention your reaction to the incident, ashamed, shocked, hurt, etc. INSEAD France asks: How did these experiences impact your relationships with others? This is the final crux in which the readers are interested. What did you learn? Learn about yourself, learn about someone, or about the project, situation etc. Finally, mention an incident where you have applied the lesson learnt in the previous incident. Failing to write the MBA essay on failure! Is it one of these? Honesty happens to be the key rule in writing the failure essay. First, be honest with yourself about the failure. The questions are direct and need a direct straight simple answer. 2. Scared of being judged. Failure should be considered as learning experiences. The main misconception is that writing about an actual failure will result in being seen as a failure. On the contrary, writing about made up failures or fake failures or immaterial failures will cost heavily to the applicant. Every failure is not about monetary loss. Monetary loss may be the result of the failure but not a lesson here. Failure in judging people and failure in pre-planning are more important to elaborate than mentioning the monetary loss. 4. Using too much floral language. While having good control over language is considered good, refrain from using words which would require opening the dictionary. State the incident as simply as possible. 5. Missing out on the lesson. The crux of an essay is the learning at the end. The learning should be substantial. Example 1: Losing the plot. Parents never stop dreaming about their children, not ready to give up, always believing that their child is special and meant for greatness. Maybe my parents too were the victim of this folly, because despite my early brushes with failure they never lost hope. But when I fared poorly in my graduate exams, it was the last straw as it broke their heart. I can still feel the pain my result caused them, the agony they went through. I am still hoping one day I will prove them right, but till that day the pain will keep burning in their hearts and mine too. My biggest failure in life has to be my losing the plot completely during my higher secondary years and messing my exams. The failure haunts because it caused real damage to my future. The poor result meant I ended up in a second-rung college, with a gang of guys who despite their best intentions weren’t fully academically inclined. The failure also haunts because the tell-tale signs of an impending disaster were always there but I refused to acknowledge it and pushed things under the carpet like I was in pretty bad shape in Physics but I didn’t do enough about it. Looking back, a little more effort and a little more discipline could have solved matters. It is a life lesson that will always remain with me.